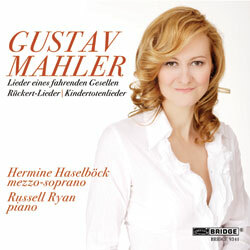 Mahler Songs on BRIDGE RECORDS by mezzo-soprano Hermine Haselbock has been released. Christa Ludwig, Edith Sélig-Papée, Sena Jurinac and Marjana Lipovsek. Ms.